BBQ dry rubs for barbecue and grilling. Specialty and regional dry rubs and seasoning blends. Unique gift baskets and gift sets. "My personal recommendations are Knox's Dry Rub..."
Dry Rub & Specialty Seasonings. BBQ Gift Baskets & Gift Sets. Knox's Spice Co. offers quality crafted all natural seasoning blends for grilling and BBQ that deliver big flavor. Use them as a dry rub meat seasoning or finishing seasoning. Each is excellent on beef, pork and chicken. Gift baskets and gift sets are availbale for Christmas, birthdays, going away, welcome back or any day for that special someone. 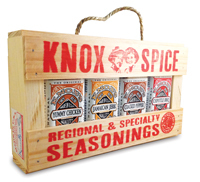 Knox's Spice Co's BBQ rubs and seasonings are created to be full flavored from natural full bodied ingredients. Enjoy! 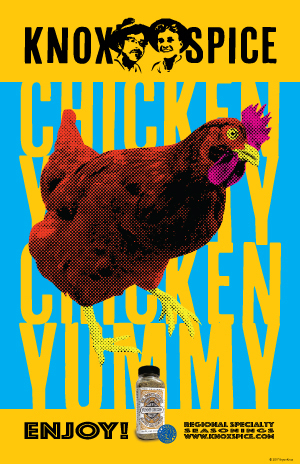 Our dry rub seasonings are traditional regional favorites and one specifically for chicken (because we love chicken). Chipotle BBQ dry rub combines smoky and sweet with a touch of spicy. Our Jamaican Jerk is traditional Island flavors, exotic and fragrant. The Cracked Pepper dry rub seasoning is fashioned after South American Charrasco, with cracked black pepper for beef lovers and our Yummy Chicken seasoning is, well, yummy on chicken. Try all four and receive a discount, see below. Find recipes with other uses in our recipe section. Fire up the grill and make great BBQ easy! 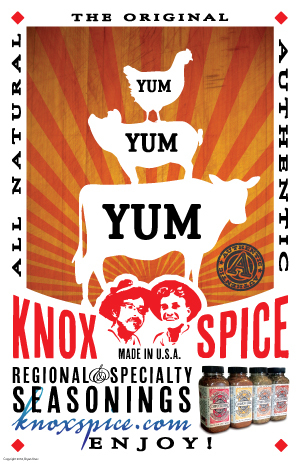 Special: Order all four Knox's Spice Co.'s BBQ dry rubs (Chipotle BBQ, Jamaican Jerk, Cracked Pepper and Yummy Chicken dry rubs). 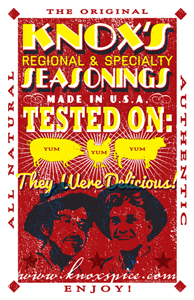 All natural gourmet regional seasoning blends that represent the best flavors from some of the most flavorful regions of the world. Seasoning blends created for people who enjoy exotic flavors. Also available in a gift box. 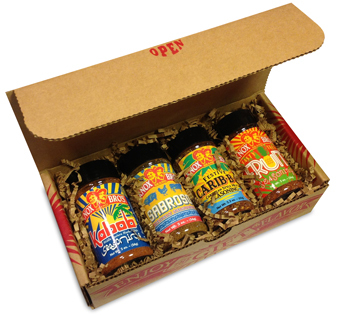 Special: Order all four Knox Bro's regional specialty seasonings (Carib-b-q, Sabroso, Kabob and Fruit seasoning) Tasty! 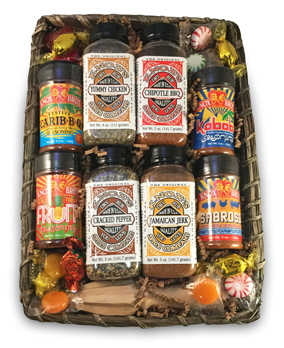 We have a variety of unique BBQ gift baskets and gift sets which include our all natural dry rubs and regional specialty seasonings for the person who has everything. Give the gift of flavor with tasty BBQ and grilling seasonings for the individual who enjoys specialty ingredients for cooking, from BBQ to gourmet affair. The perfect gift for the BBQ fanatic and gourmand. For that someone special, who deserve the best. Our gift section contains baskets that are excellent house warming gift as well. See our line of unique gift baskets by clicking here or the images below.